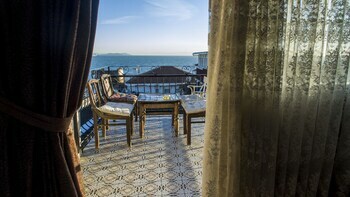 Located in Istanbul (Sultanahmet), Mansion by Cheers is within a 10-minute walk of Blue Mosque and Hippodrome. Featured amenities include dry cleaning/laundry services, a 24-hour front desk, and luggage storage. Free self parking is available onsite. With a stay at Mare Nostrum Apart in Kas, you'll be just steps from Yeni Cami and Cukurbag Peninsula. Featured amenities include dry cleaning/laundry services, multilingual staff, and luggage storage.